Glow-worm has been commissioned by private customers, businesses, property developers, property renting agencies, crematoria, Plymouth City Council and Plymouth Guildhall. We have also been commissioned by the BBC and were featured on the prime time programme, DIY SOS. Repair and restoration work is an important part of Glow-worm's survival. We strive to return the piece looking as similar as possible to the original. 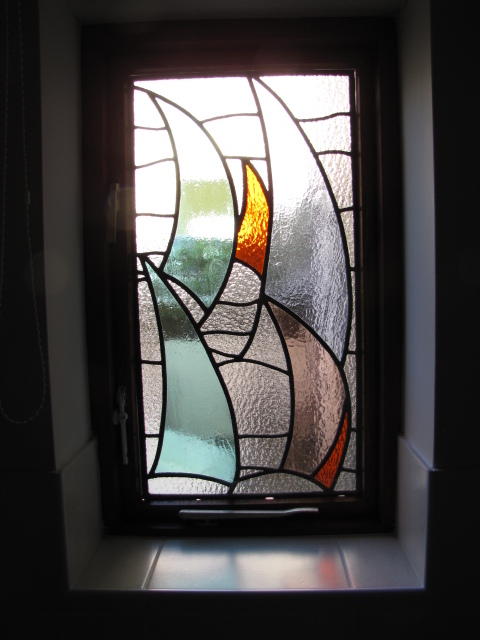 This often involves hunting through our vast range of glass and taking advice from glass manufacturers. 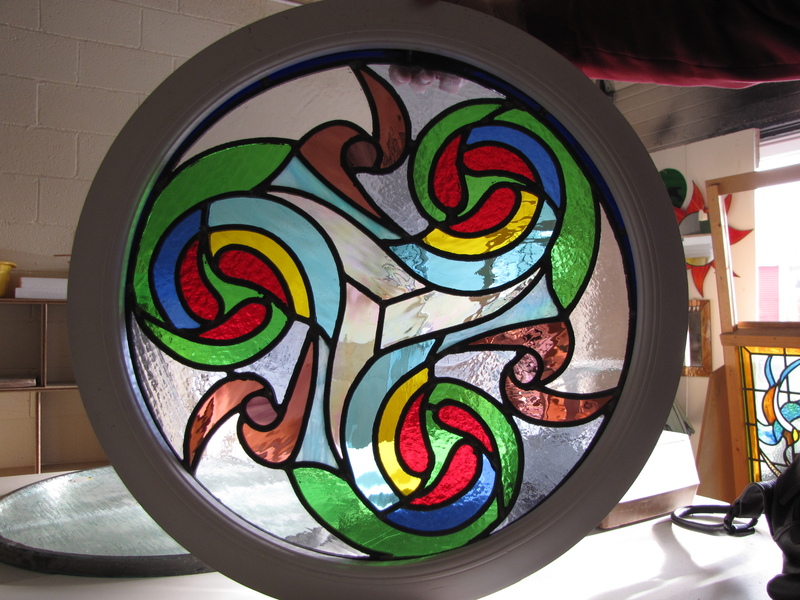 We can even alter the look of a piece of glass in a kiln, to get closer to the original. If you're thinking of some new work for your home, you need to decide on the effect you're trying to achieve. This could be simply to allow light to travel from one room to the next (borrowed light) or to create a spiritual, traditional or contemporary feel to a room. We will work closely with you on the design, giving you a rough idea of the cost, and arriving at a quote when the design is finalised. We can give guidance on colour (if you need it) and are happy to visit your home to check available light, the exact size of the project and anything else that comes to mind. If you'd like something made, restored or repaired, give us a call on 01752 340586 or come in for a chat. We don't hard sell and we can give you an idea of price once we know what you need us to do. Part of this splendid church window was extensively damaged by vandals. It was restored at the studio and looks as good as new.